Continue to blend while adding chia seed. Blend until mixed before turning blender off and removing lid. Add probiotics, return lid and pulse. If doing the cooler version:place boiling water in cooler to the 3 inch mark. Once the yogurt has cooled, pour into 2 – 1000mL mason jars and place in the cooler for about 15 hours. You may have to change your water halfway through to ensure it’s hot enough. Refrigerate for 8 hours. If doing the heating pad version: once the yogurt has cooled, pour into 2 – 1000mL mason jars and wrap in a heating pad [set on lowest setting] and a towel. Allow to sit for 15 hours. Refrigerate for 8 hours. The chia seed is what thickens the yogurt. 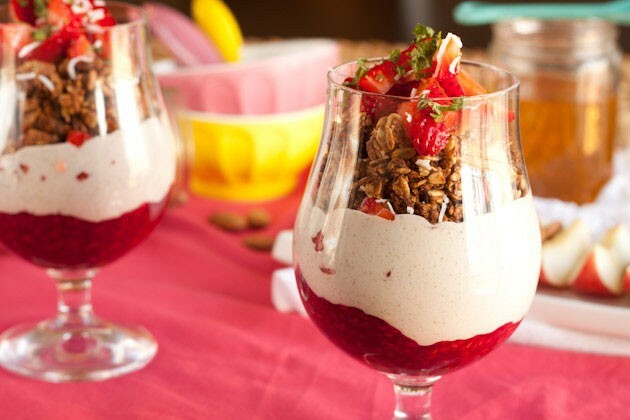 If you make this yogurt with other nut milks, more chia seed may be needed. 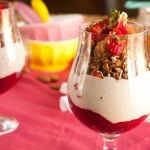 For example: almond milk yogurt will need a total of 4-6 tablespoon ground chia seed. I found that anything past 4 tablespoon of chia begins to taste very chia-like. Another alternative to chia would be agar agar flakes but I would start with a small amount of 1-2 teaspoon until desired consistency is met.